December is not just the month of the winter holidays, but also the month when people have a more negative impact on the environment, most of the times without even knowing it. Studies show that, globally, our carbon footprint in this period is by 6% higher than in the rest of the year. That’s because we tend to buy much more, whether we’re talking about gifts or food, because we generate more waste and travel more. 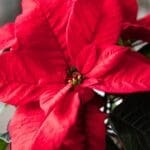 But, certainly, the most visible part of our environmental impact is Christmas trees, which, after many years of growth (exactly how many depends on the origin of the tree), come to decorate our homes for a few weeks, then end up thrown out, most of the time in the garbage dumps around our homes. It is estimated that annually around 33 to 36 million Christmas trees are produced and cut in the US and 50-60 million in Europe. Even though these are usually fir trees grown especially for holidays, there is certainly a big impact on the environment that can’t be neglected, and the question is if these annual cuts are needed. Furthermore, the survival of some conifers species is endangered by deforestation, in addition to diseases and the strong natural competition to develop in increasingly smaller areas, because of heavy urbanization. According to members of The Global Trees Campaign, a non-profit partnership between Fauna and Flora International and Botanic Gardens Conservation, there are more than 200 species of conifers around the world that face extinction. 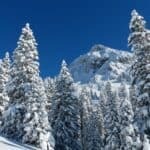 However, the Christmas trees trade is not the main culprit in this case, but other factors as well, in strong connection with environmental changes that have taken place over the last decades. Not all Christmas trees have a negative impact on the environment, as long as they don’t come from thoughtless forest exploitation. 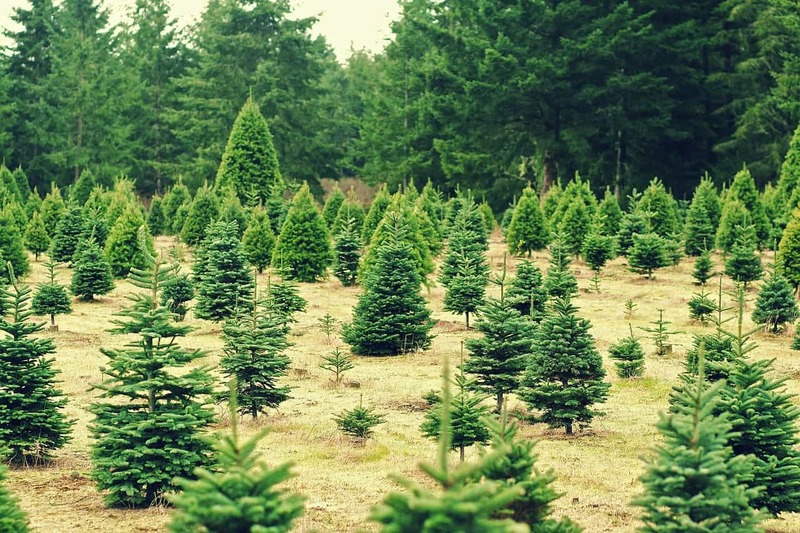 The trees grown on specialized Christmas trees farms are usually selected and acclimatized accordingly in order to require less water consumption. In addition, while the trees are growing, they are removing the carbon dioxide from the air and are turning it back into oxygen. Most Christmas trees farms plant new seedlings each year, to replace the trees that are being cut down. 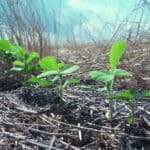 The saplings can serve as habitats for birds and insects and other wildlife species, being part of the natural cycle. Decaying stumps of cut down trees are still a valuable wildlife resource because they attract all kinds of insects which, in turn, serve as food for birds. Not only the trees are valuable resources, but also the soil around the trees which is usually covered in grass and flowers, especially plants that like to grow in the shade provided by the trees, attracting bees and other pollinators. It’s also worth mentioning that, in comparison with artificial Christmas trees, made from PVC and they can’t be recycled, while for natural Christmas trees it’s possible to find another purpose, even if it’s just to use them as fire wood. Just like any other farms, Christmas trees farms require certain resources for the trees to grow until they reach the best height to cut them down. For Christmas trees farms that grown trees species that don’t originally grow in a certain region, this means using dirt, water, herbicides, pesticide and fungicides, all substances that can potentially damage the environment. 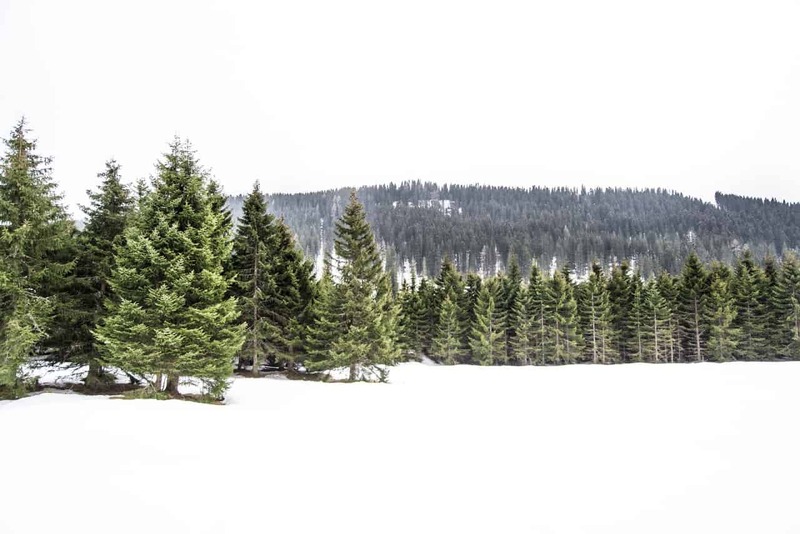 If the Christmas trees are not grown on specialized farms, uncontrolled forest exploitation can create serious environmental imbalances, climate changes, the development of natural disasters such as landslides or floods, or endanger animals that have forests of conifers as their natural habitat. All Christmas trees that are not properly recycled and sent to landfills have a carbon footprint because they decompose and during this process they produce methane, and odorless gas that poses a major threat to the climate and to human health. Those who are interested in the environment, it is good to do some research and choose from responsibly managed cultures, with a good social impact, with low or no use of pesticides or herbicides and with environmentally responsible policies. The best option is to try to find a responsible Christmas trees farm as close as possible to you. These tree farms can create jobs in communities near forests, helping to reduce pressure and forest exploitation and generate relevant incomes. In more developed countries these figures can be impressive. In the US, for example, fir trees farms provide 100,000 jobs and an annual turnover of over one billion dollars. 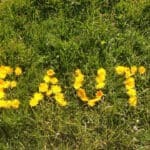 Such farms works with harvesting periods of 8-10 years, at the same time creating a good habitat for different species. However, a poorly managed tree farm can generate negative impacts, a reduction in habitat and soil degradation. Use living Christmas trees that come with their roots intact. The roots and the earth around them can be planted into a bucket with potting soil, sawdust or other type of mulch. The tree should be replanted outdoors as soon as possible. There are even some companies that rent living trees which they replant after the holidays. If you have a garden, the trunk can be used as a decorative piece and it can also serve as a resting spot for birds and other types of small animals. The branches of the tree can be used to protect rows of plants in a nursery from sudden temperature changes. Chopped up Christmas trees are great to make mulch for other plants in the garden. Use the trunk as fire wood, but don’t leave the branches on it because they can send off sparks. If you have a fireplace, the house will not only be warm and cozy, but it will also benefit from the pleasant smell. Those with a talent for different crafts projects can use the tree as wood for various items, such as decorative items, bird houses, jewelry boxes and much more. Remove the needles from the branches and store them in brown paper bags to preserve their pungent smell. They can be used for potpourris and aromatic sachets that work great as natural home perfumes. 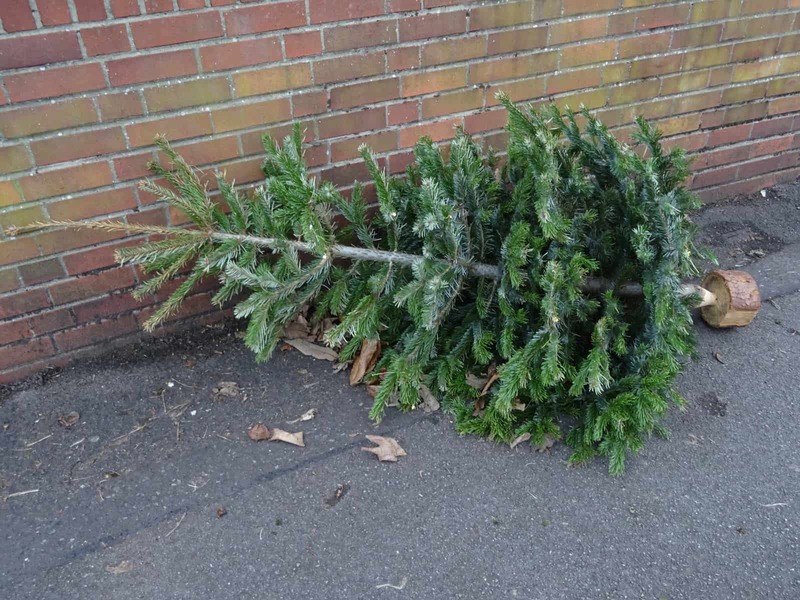 If you don’t want to deal with the recycling on your own, most local municipalities have recycling programs for Christmas trees, for free or for a small fee. Just make sure to check the pickup dates and don’t forget to leave the tree in the designated space for this service. Therefore, can we say that the Christmas tree industry does not have an impact on the environment? No, because this is true, as in the case of other industries as well, but it mostly depends on the consumers if this impact is positive or negative. 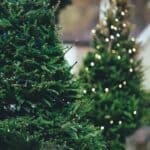 Choosing Christmas trees from farms that use appropriate, environment-friendly cultivation methods and recycling are the two major factors that make the difference. How is this the best option? The best option is to not buy a Christmas tree!